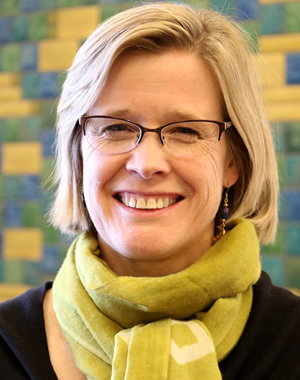 Sue joined the Ford School in February, 2016. As Director of Development, Sue oversees all fundraising efforts, coordinates with the Dean and other members of the Ford School community, her counterparts in other schools, colleges and units across campus, as well as the team in the Office of University Development. Her primary goal is to build relationships with a broad range of alumni and friends of the Ford School to both encourage and broaden their engagement with our students and programs, and to secure financial support, both for the Victors for Michigan Campaign and beyond. As a member of the Dean's senior management team, Sue helps provide strategic leadership to further the Ford School mission. Sue spent 16 years in development leadership positions at the University of Michigan's Law School and Museum of Art (UMMA). For the last ten years, she led the fundraising efforts for Emerson School, a private school in Ann Arbor. Sue earned her BA in history from Middlebury College. In September, the University of Michigan made an announcement. In hopes of inspiring new gifts for student support, U-M revealed that it had set aside $40 million for a time-limited matching gift program.